Ever wished you were in a zombie apocalypse! Don’t worry! We are having a “All you can kill Zombie” Gaming night. We would encourage all of you to come in your Halloween costumes. 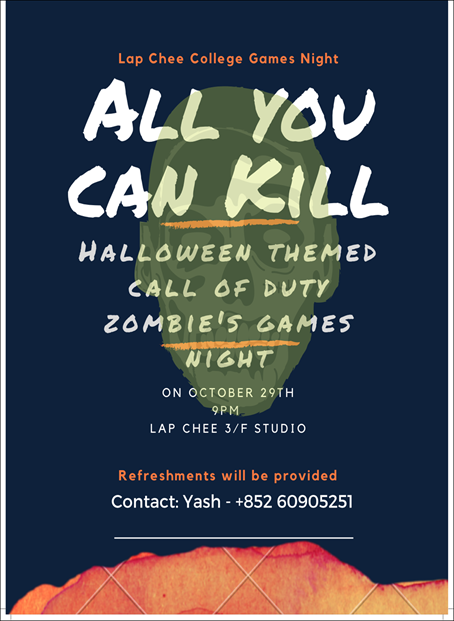 We will be having a competition to assess your zombie killing skills and the winner will take away a few goodies. So what are you waiting for! Sign up now!